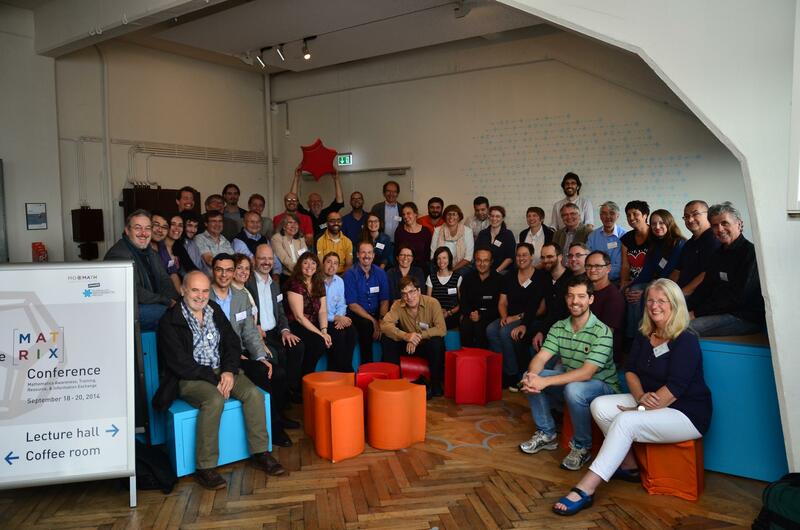 The conference is jointly organized by the National Museum of Mathematics (New York) and Erlebnisland Mathematik (Dresden). You are invited to attend the first MATRIX (Mathematics Awareness, Training, Resource, & Information Exchange) conference, to be held 2014 Sept 18 - 20 in Dresden, Germany. 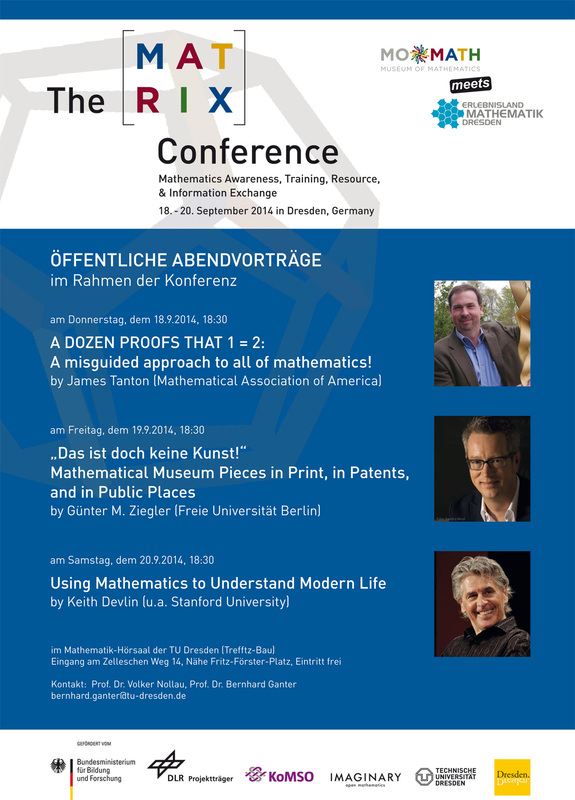 It is jointly organized by the National Museum of Mathematics (New York) and Erlebnisland Mathematik (Dresden). Attendees are expected to include representatives from math museums around the world; those who design/create/operate math exhibits; and those who perform math outreach or deliver math programming designed for a popular audience. For information about presenting or attending, you can also email to matrix@momath.org. The conference featured 22 forum talks, 7 exhibit displays and 3 public lectures; and gathered 60 participants from the most relevant museums of mathematics worldwide and other professionals of math outreach. IMAGINARY participated and partnered the organization. We presented our projects Math Communication Network and the Dresden Declaration proposal.